Happy Sunday, everyone! 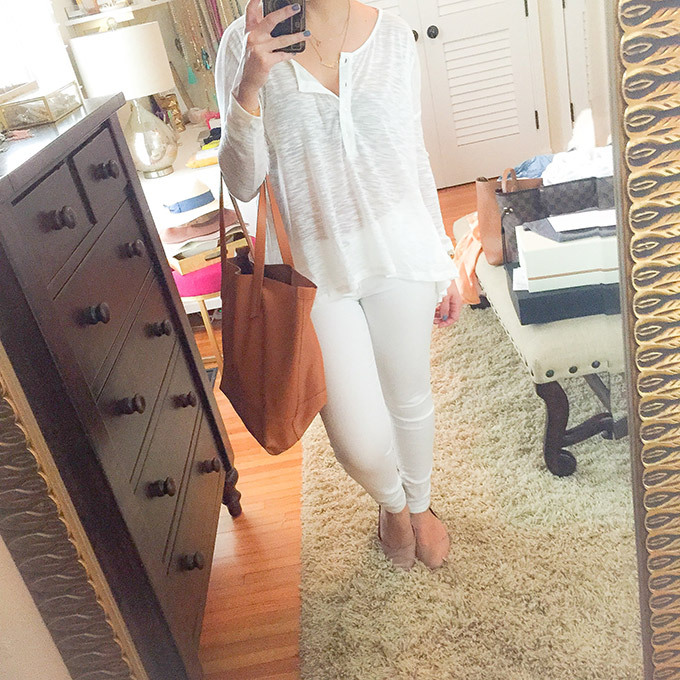 A lot of you have asked me what exactly I bought at the Nordstrom Sale and how it all fits. My site, unfortunately, crashed yesterday so I wasn’t able to post this or choose a winner for the Nordstrom giveaway. I’ll announce the winner at the end of this post! Also, I’m actually very thankful (in a weird way) that my site crashed. It crashed because I’ve been getting so many great visitors daily that my blog couldn’t handle all of you! I’m so grateful for each and every one of you that stops by on the daily to read my posts, corny jokes and daily happenings. It means more than you’ll ever know and, honestly, it’s how/why this blog is up and running! I hope that we can continue to grow a friendship, whether it’s through comments, emails, in person or at events, because I love all of you! These flats are great! I got them in both pale pink and dark red. They’re such a great price and look like the Valentino Rockstuds (yet not the same price, obviously). Size half a size down with these! They run 1/2 a size big. I didn’t believe them when they said that but then my normal size was huge on me. I sized down half a size and that’s what I went home with! I picked up these babies and already wore them last night! You can see me sporting them here. They make such a statement and are so fun! They are comfortable, but I will say my pinky hurt after a few hours standing in them. But that happens with every heel! 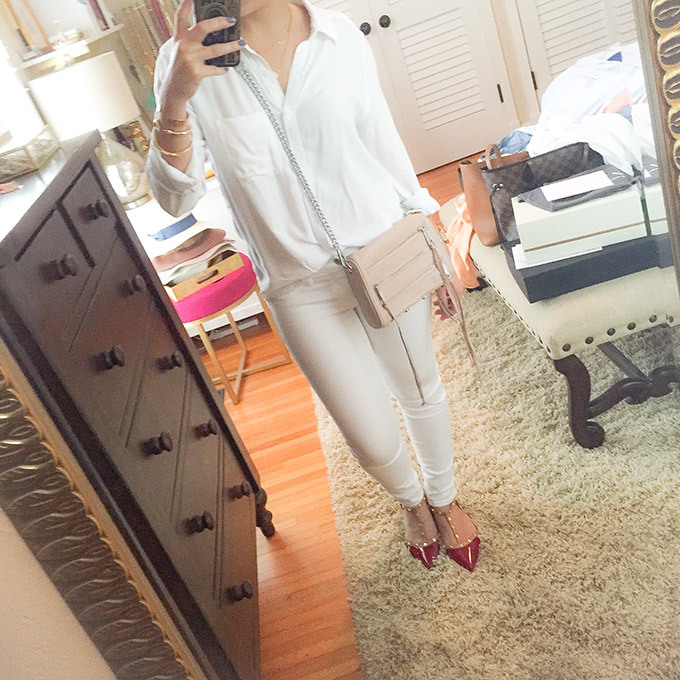 They are a great height and really add a pop to any outfit. Just make sure you won’t be standing forever in them! For dinners, small events, gatherings, etc. they’re great. I just chose to wear them on a night where I would be standing for hours. They run true to size! I also got the flats in red and here they are! Aren’t they beautiful? I can’t wait to start incorporating them into my outfits. 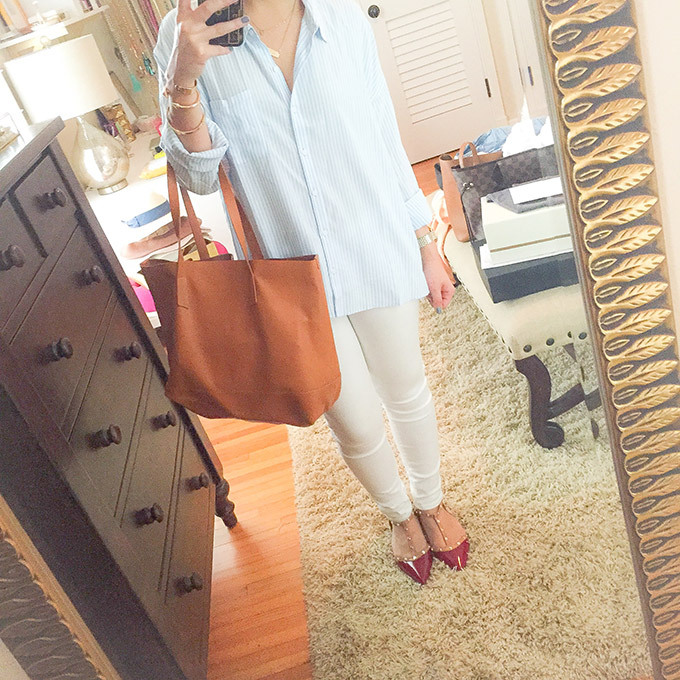 I’ve always wanted red flats (not sandals) and couldn’t find a pretty red that I love. This is a gorgeous red and the price is even better. 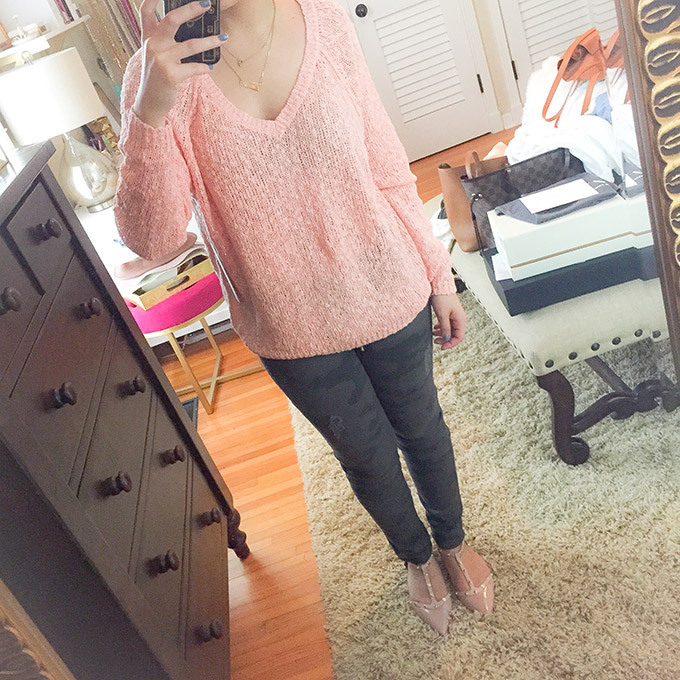 I purchased this sweater in grey, blue and pink salmon. It is SO cozy! 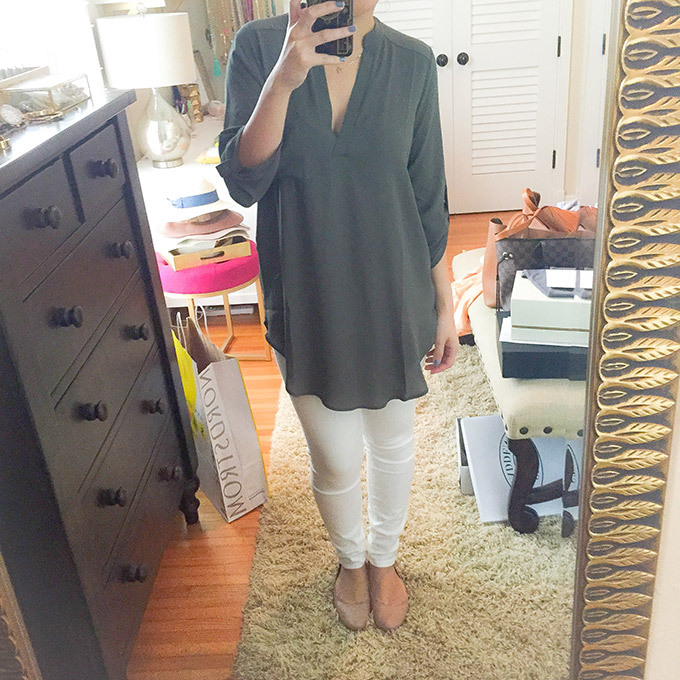 I went up a size and got a medium and am really happy I did. This brand tends to run smaller so I always size up when buying anything from them. 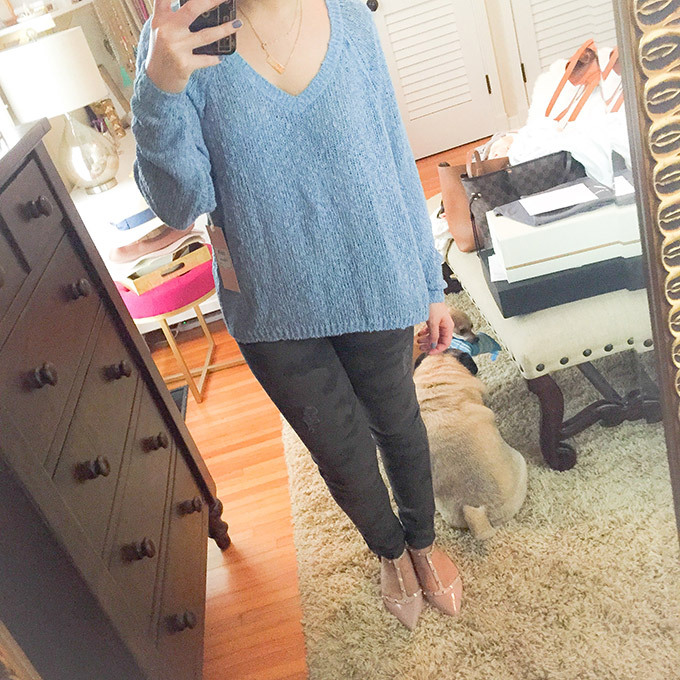 These sweaters are awesome to wear over a tank, on their own, or with a scarf during the fall. 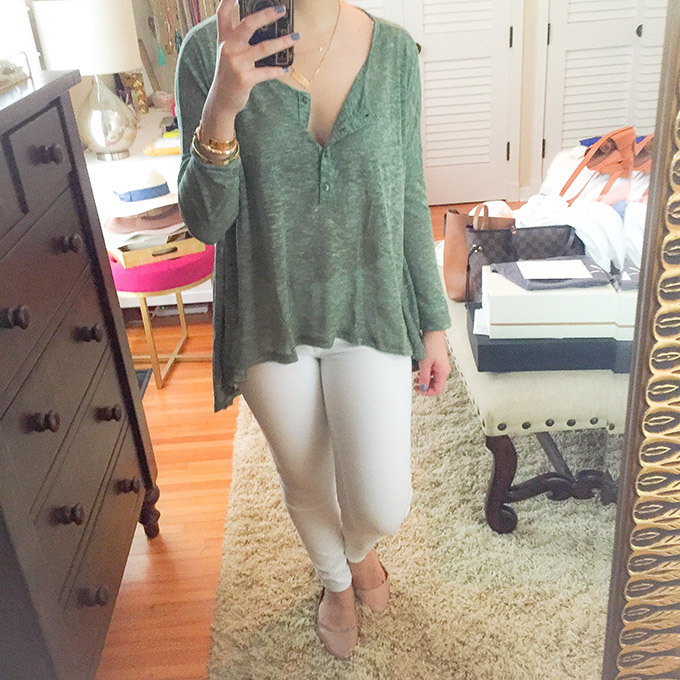 I highly recommend this sweater! I’m already ready to wear it on the next road trip or plane ride (and everywhere else for that matter). I love this jacket. I’ve been looking for a great moto jacket for as long as I can remember and this is a winner. I’m so picky with these jackets and have no idea why but I haven’t been able to find one I love until this one! I love that the material isn’t extremely stiff and that you can actually move around in it. I also love how it doesn’t make me look macho, because some jackets do! I’m wearing a size small and it’s perfect. That’s my regular size. You snagged some great items! 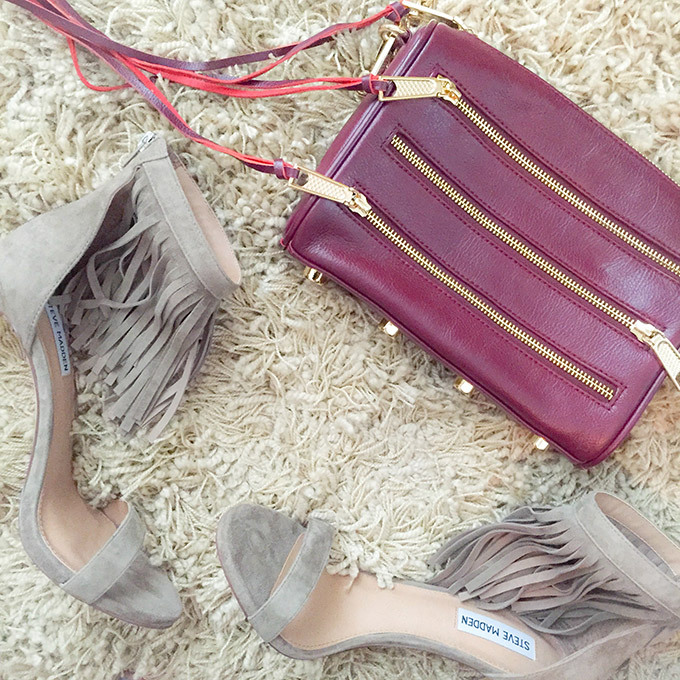 I’m especially loving the fringe heels, and that RM zip bag is my fav! I have it in brown, but that color is oh so perfect for fall. 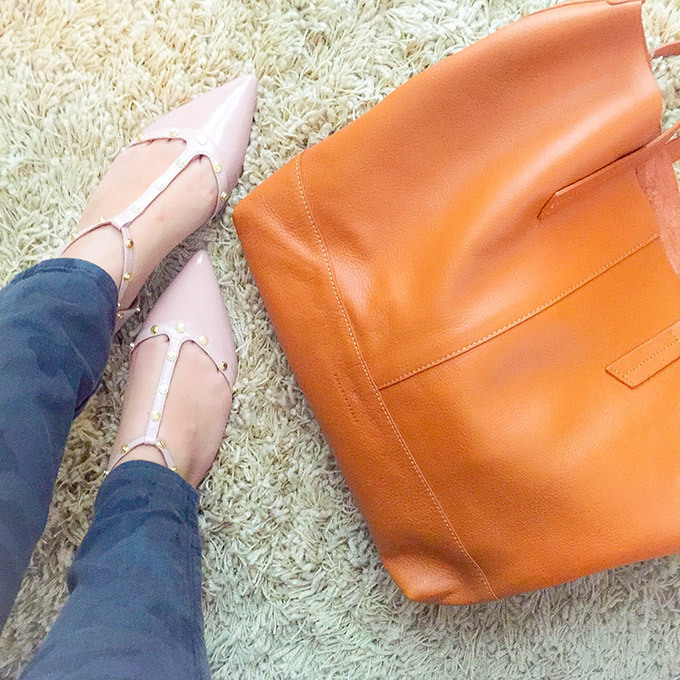 Love your picks from the #nsale! I might definitely be going back for some of those every day tees! Great picks!! 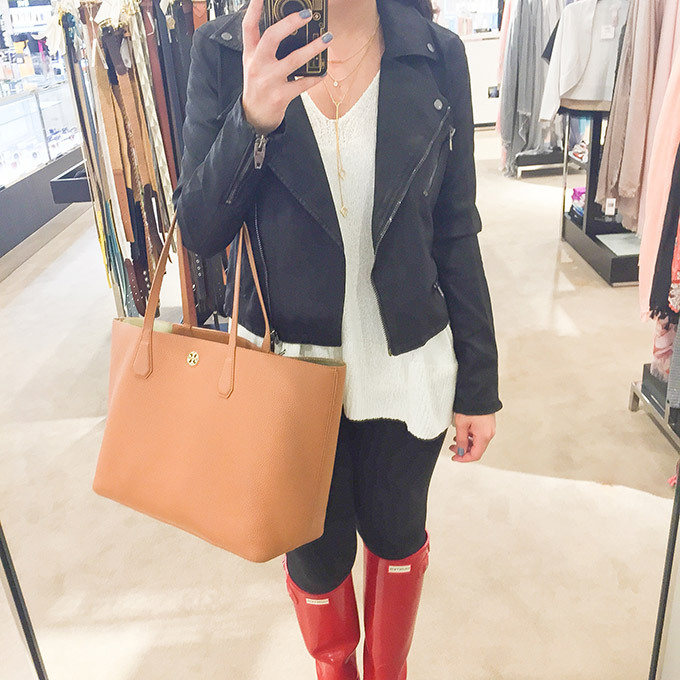 Your picks have definitely given me some fashion inspiration and ideas for future purchases! I kept scrolling down thinking “oh that’s cute…I like that too” and just kept going down the post! You have great style, girl! Clearly I need to go back to Nordie’s and pick up a few more NSale items. I LOVE those flats! I think those are my next purchase, and thank you for the heads up about sizing!